It's a shame, we already know, that DC Comics cancelled Gotham by Midnight after the second collection; it's a surprise a Bat-title didn't make it (perhaps this needed to be Batman: Gotham by Midnight), but so too of course goes Damian, Son of Batman and We Are Robin. In many respects Ray Fawkes's Gotham by Midnight Vol. 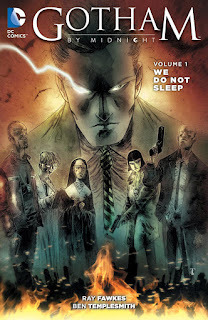 1: We Do Not Sleep is the Spectre title I always wanted to see, one whose focus is not God's spirit of vengeance but rather police detective Jim Corrigan. John Ostrander and Tom Mandrake's Spectre was a superlative run on the title, but often dealt more in the metaphysical than the here and now; Fawkes's Midnight showed early signs of being the kind of gritty supernatural police procedural that fans of X-Files and Gotham Central could get behind. Wisely, Constantine's Ray Fawkes uses the Spectre here only sparingly, and in some issues not at all. Perhaps akin to the Incredible Hulk, in Fawkes's iteration the Spectre is Jim Corrigan's nuclear option, an entity that wreaks havoc on both the bad and the good, to only be unleashed when there's no other choice. That's another interesting change in Fawkes's Spectre, one that works for the better -- Corrigan and the Spectre are not one and the same here, but rather Corrigan gives himself over to the Spectre when he emerges, again like the Hulk or like Jack Kirby's Etrigan, the Demon. This leads to one of We Do Not Sleep's most harrowing scenes, where Corrigan's allies consider shooting his insensate body to stop the Spectre (though the usefulness of this, in retrospect, is somewhat in question). As with a number of New 52 characters, the current Spectre and Corrigan's origins and history aren't entirely clear. Early on the Phantom Stranger essentially betrayed Corrigan such to curse him with the Spectre, and in subsequent appearances Corrigan had a fairly large chip on his shoulder. Enter Batman Eternal, and all of the sudden Corrigan is lounging in Wayne Manor making small-talk with Batman. Obviously this latter Corrigan is the most workable to lead a new series, and I like this 1940s-era Detective Corrigan bringing style to a modern squad, but my hope is that before Midnight ends Fawkes can fill in some of Corrigan's own backstory, and not just his supporting cast's. Indeed Fawkes populates Corrigan's GCPD Midnight Shift with new characters, and the B-plot of these initial issues reveals how Corrigan first encountered some of them. It surprised me that the nun Sister Justine died at the end of this book, so early in the series, but it remains to be seen how fluid a concept death is in this supernatural setting. Arguably though we learned Justine's entire origin in her flashback, leaving nothing to be revealed in later stories; this is in contrast to Corrigan's partner Lisa Drake, whose fearsome scream foretells the death of someone nearby, the reasons for which we don't know yet. Fawkes makes an interesting choice here by naming the character "Drake," an original name for Black Canary, and giving her screaming powers, though it's hard to figure how that would be anything more than coincidence in the current continuity. Though Midnight has an incredible sense of mood -- not in the least because of the sketch-like watercolor art of Ben Templesmith -- it's a relatively fast read at five issues. The first two and last two are two-parters, one with a hint of the Spectre and one with the Spectre towering over Gotham in Godzilla style. In between those is the third, the best of the book, in which Corrigan and Drake are called to investigate a girl whom a hospital quarantined on suspicion of smallpox, but then found she seemed to be haunted by a living shadow. The issue is mainlining X-Files, wonderfully for an in-continuity DC Comics title, but then it's also Drake and the Midnight Shift's Dr. Tarr who defeat the shadow creature. Not only does Fawkes demonstrate here that Midnight wouldn't be solely about the Spectre, he also establishes non-superhero (of sorts) protagonists, giving a sort of ground-level view of the DC Universe that's been mostly lacking in the New 52, if not entirely since Gotham Central. The issues collected in Gotham by Midnight Vol. 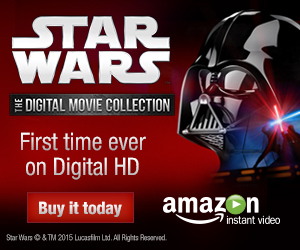 1: We Do Not Sleep, though heavily stylized, are not actually "DC You" issues. Rather Midnight (with Batgirl, Gotham Academy, and others) formed a kind of proto-"DC You" before the "DC You" was launched. More's the pity that "DC You" isn't considered a success, and took Gotham by Midnight with it, because again, I get tiny inklings of Gotham Central here. What quirk of readership or culture in the early 2000s supported a title like Gotham Central that doesn't now support Gotham by Midnight, I'm not sure, but I'd be happy to see us find it again and bottle it.